Deacon Christopher Moriconi first thought about the priesthood in his freshman year at Berklee College of Music in Boston. Reading Thomas Merton’s “Seeds of Contemplation,” he found dedicating an entire life to God something fascinating. In his senior year at Berklee in 2005, Pope Benedict XVI was elected to the papacy, and Moriconi began seriously practicing his faith. After graduation he started playing organ at St. Albert the Great Church in Huntingdon Valley, and meeting young priests there. Music always was an integral part of Moriconi’s life and faith from a young age. His father played the piano, and his great uncle was an organist at St. Patrick’s Cathedral in New York. 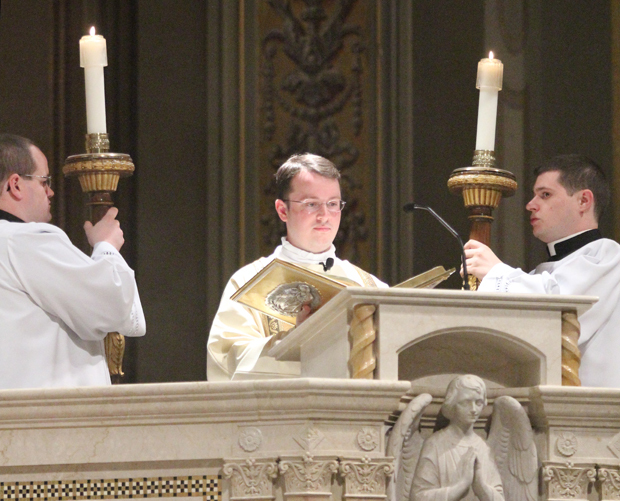 Moriconi, whose favorite song is “At the Lamb’s High Feast We Sing,” continued playing the organ when he entered St. Charles Borromeo Seminary three years later. He returned to confession at St. Albert, one of his home parishes where he previously received baptism and confirmation. The profound sense of peace the sacrament of penance provided was for him a confirmation of God’s mercy. He attributed this as the turning point in his vocation. At that moment of reconciliation, he knew he wanted to be a priest. Now Moriconi is preparing for his and his classmates’ priestly ordination May 17 at 10 a.m. at the Cathedral Basilica of SS. Peter and Paul, to which everyone is invited. 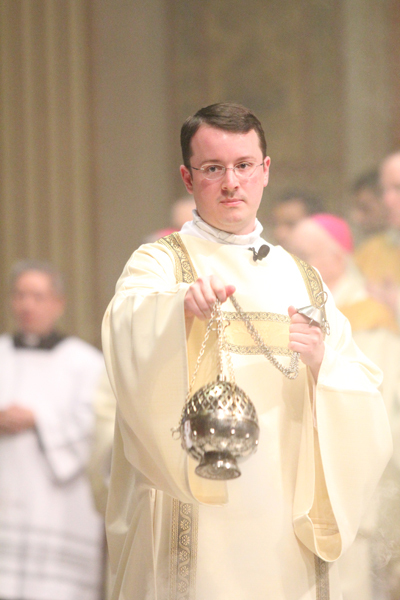 After high school, Moriconi found himself returning to the faith independent of his parents, who mostly practiced and put Moriconi through Catholic grade and high schools at Ancillae-Assumpta Academy in Wyncote, where he received first holy Communion, and at St. Joseph’s Prep in North Philadelphia. He also looked into religious life, including the Capuchin Franciscans, in a three-year discernment process between graduation from Berklee and entrance into St. Charles Seminary in 2008. Christopher’s older brother Alex said he saw a change in his brother after college. For nine months, Christopher and Alex lived together in Yardley. They saw it as a time of seclusion in which both could figure out what they wanted to do with their lives. Christopher started playing music for St. Albert, watching EWTN and teaching music to students. He also attended daily Mass at St. Ignatius Church in Yardley. Alex said Christopher started the application process toward the end of the nine-month period. 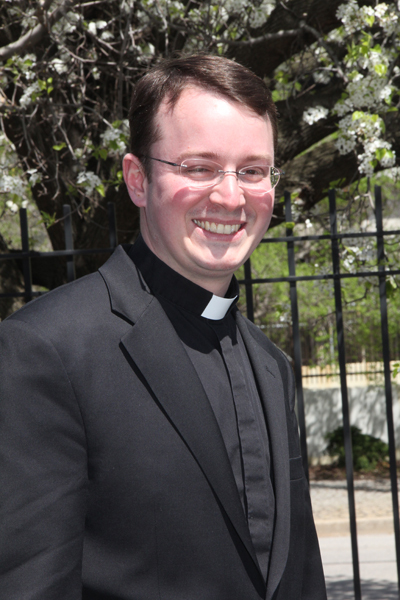 Christine said music may have influenced his vocation but ultimately people drew him to the seminary. What first was curiosity in reading a Merton book became commitment after encountering the person of Christ in grace through the sacrament of reconciliation. After Christopher entered the seminary, his mother moved to Broomall, and he took on a second home parish, St. Pius X. Christine said her son had a knack for getting to core issues, and they spent hours discussing such things when he returned home from the seminary. 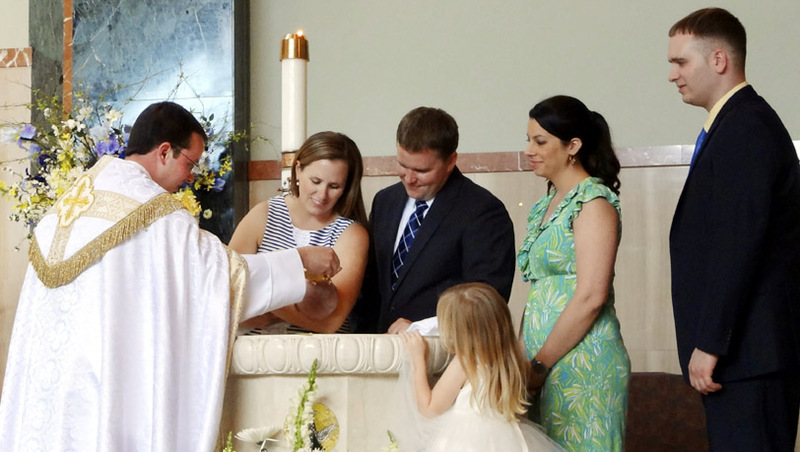 She noticed the benefit of his progress — leaving the seminary after serving his diaconate year at St. Andrew Parish in Newtown, making deep friendships, entering the priesthood. “He’s blossoming in it,” Christine said. Brendan Monahan is a freelance writer in Plymouth Meeting. He may be emailed at bmonahan16@gmail.com. Congratulations Chris on your upcoming Holy Orders. We hope to come to your first mass.